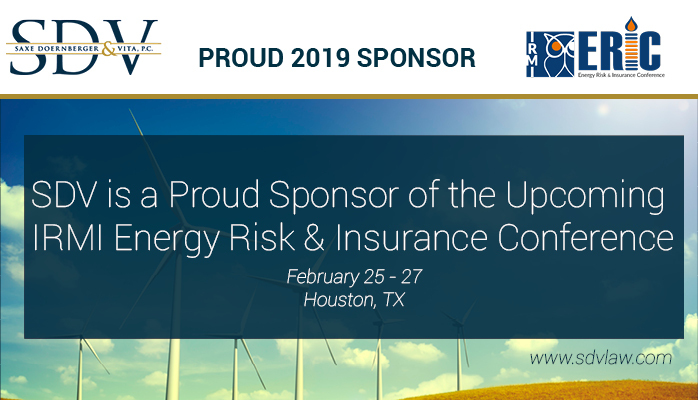 SDV is a proud sponsor of the International Risk Management Institute, Inc. (IRMI) Energy Risk & Insurance Conference (ERIC) in Houston this February, 25 - 27. Be sure to visit our exhibitor's booth to hear more from Richard W. Brown on the latest risks in power and energy and how SDV can help your firm successfully navigate these issues. We hope to see you there.